A major study carried out by Ricardo plc for the European fuels industry body Concawe has investigated the impact of three scenarios capable of delivering around 85% greenhouse gas (GHG) emissions reductions from the light-duty vehicle parc within the EU by 2050 – and offers some surprising insights on the hazards of over-reliance upon any one technology. The three 2050 scenarios considered were: a mass roll-out of battery electric vehicles (EVs), representing a fully electrified market by 2040 and 90% of the EU parc a decade later; a focus instead on the development of low carbon fuels, including both biofuels and artificially synthesized eFuels, alongside some electrification, and a third scenario representing greater use of plug-in hybrid electric vehicles (PHEVs) together with increased use of biofuels and eFuels. All three scenarios were shown to be capable of delivering the EU target of light-duty vehicle parc life well-to-wheels GHG emissions reductions to less than 13% of those of 2015 by 2050. Significant capital investment costs were represented by the mass EV adoption scenario, with charging and network infrastructure alone reaching an annual EUR 30-40 billion (USD34.7-46.3 billion) by 2040, and a cumulative cost of around EUR 630-830 billion (USD730.1-961.9 billion) by 2050. This compared with around EUR 326-389 billion (USD377.8-450.8 billion) for the low carbon fuels scenario. 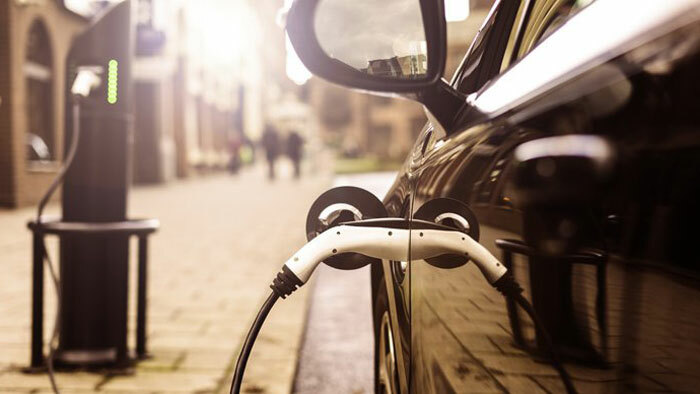 A policy impact was identified in terms of taxation, with the mass EV adoption scenario representing a reduction of net annual fiscal revenue from fuel duties of up to EUR 66 billion (USD76.4 billion) by 2050. Both of these scenarios showed similar levels of overall total end-user cost reduction – total purchase price, fuel, operational and infrastructure costs, etc. – compared with the reference ‘business-as-usual’ case, after adjusting for the need to recover these otherwise lost annual fiscal revenues. The risks for each scenario represented by the continuing availability of scarce resources was also highlighted by the study. In addition to a substantial increase in the manufacturing supply chain for traction batteries, the mass EV adoption scenario would require a peak annual demand for virgin lithium of about 200 kilo-tonnes. This level of consumption is six times higher than the global lithium production level of 2016. Conversely, the lithium requirement of the low carbon fuels scenario was less than half that of the mass EV adoption scenario.